The value of a survey is often in its responses. There is a lot of information in those responses, but you need a way to get it out. Other tools only offer a general summary of the responses, while statistical software is very complicated. 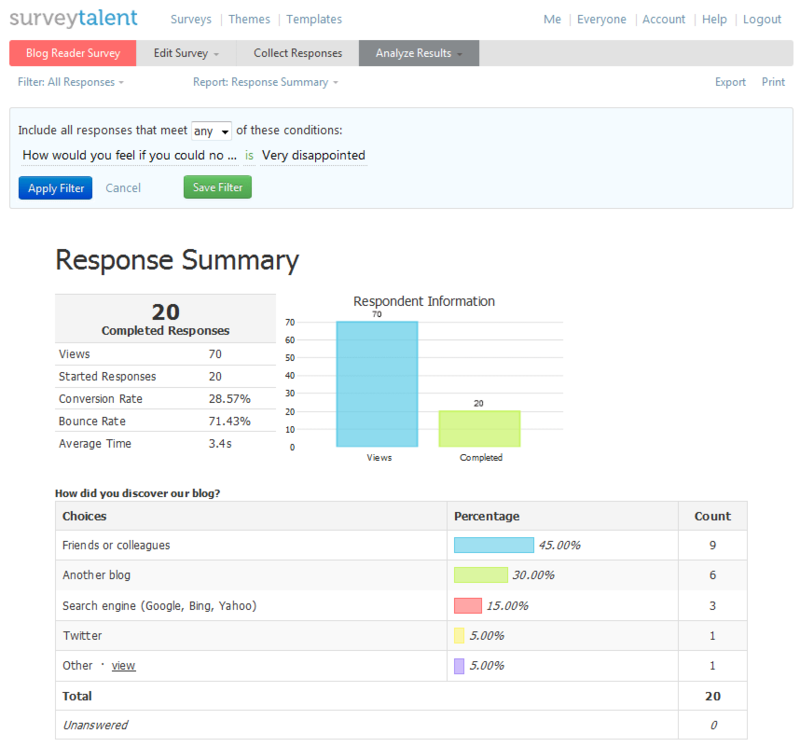 SurveyTalent helps you to slice and dice your data quick and easy to find new insights in your responses. Create custom filters to drill down your data and find new levels of information. You don't have to leave the page to apply a filter to a summary report or the responses. SurveyTalent allows you to really dive into your data and find new information. Quickly generate a summary of all responses that are 'disappointed' or 'very disappointed' with your product or service. Fetch all responses of the first quarter of this year. Generate a summary of all male responses. Select all responses that successfully paid for your workshop. Any combination of filters can be made with SurveyTalent, all without leaving the page. Simple and fast.